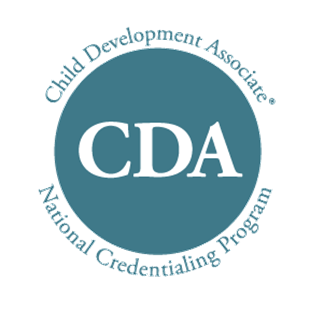 IDEA scholars who are passionate about working with young children—possibly as teachers, physicians, or social workers—now have the opportunity to earn a child development associate (CDA) credential during high school while earning credit toward graduation. Last year, in collaboration with the DC Office of the State Superintendent of Education (OSSE), IDEA piloted the CDA program, but classes were only held every other week during the school day and once a month on Saturday. 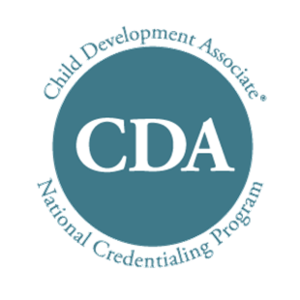 Now CDA is a full-fledged elective that enables participants to earn their credential and credit, after 120 hours over two years in the classroom, plus a 480-hour practicum, which is time spent actually working with children in an early childhood education program. Throughout the course, scholars assemble a portfolio that demonstrates everything they’ve learned about early childhood education. At the end of their course, a representative from the CDA Council evaluates the portfolios, observes scholars in the classroom working with children, administers a final exam, and issues the CDA credential. Once they have passed the exam they will receive their credential at the same time as high school graduation. Individuals are eligible to work as a teaching assistant for a licensed child care provider in DC as well as many other states. CDA certification can also be applied toward college credits if individuals wish to pursue their associate’s or bachelor’s degree in a related field. For example, Trinity University Washington gives its incoming students nine credits for their CDA credentials. Sarah Weston, supervisory education program specialist for OSSE, is currently managing the CDA course with 30 IDEA scholars. The class meets during the elective period. Scholars will soon begin hands-on teaching at several local child care programs. Scholars who participated in the program last year, even thought it was not yet a credit course, will still receive practicum credit for hours they spent working with children. Hours spent in child care centers will also count toward scholars’ community service requirements for graduation. As part of DC Mayor Muriel Bowser’s initiative to increase the number of highly qualified child care workers in the city, OSSE helps prospective teachers find opportunities to continue their education while working in the field. For example, through the National Black Child Development Institute, students who have earned their CDA and who work at least 25 hours per week at a child care center are eligible to pursue an education degree and receive scholarship funding of up to 90% of their tuition. Some child care centers will also subsidize tuition for their employees. Many programs offer child care and transportation stipends for teaching assistants who are pursuing further education.